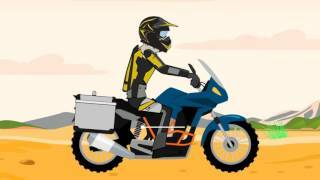 Touratech Suspension is the world’s first purpose-built shock absorber for long-distance touring with a fully-loaded motorcycle. Right out of the box, it has the strength, features and adjustments to go the distance on the R1100GS with luggage. 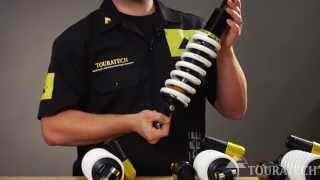 The Touratech Explore front shock is over-built by design with heavy-duty materials, over-sized components, spring pre-load adjustment, and adjustable rebound damping. 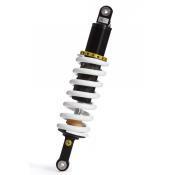 This shock has been specifically developed for optimum performance on BMW’s Telelever front end. We’ve put the shock through rigorous testing in real-world adventure touring environments to make sure it functions well on your R1100GS. It’s recommended to upgrade the rear shock at the same time you upgrade the front shock. 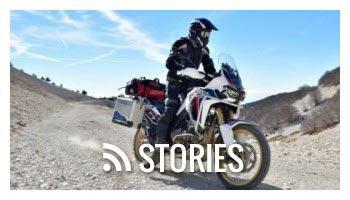 Click HERE to see the Touratech Suspension options for R1100GS rear shocks. Motorcycle Manufacturer’s Shocks - The stock front shock found on a R1100GS is designed to be inexpensive and fit the needs of the average 170lb rider with 15lbs of luggage. As a result, they often meet the minimum standard for function. The performance of a stock shock is typically not confidence inspiring. They aren’t serviceable and, with heavy loads, are prone to blown-out seals and other failures. 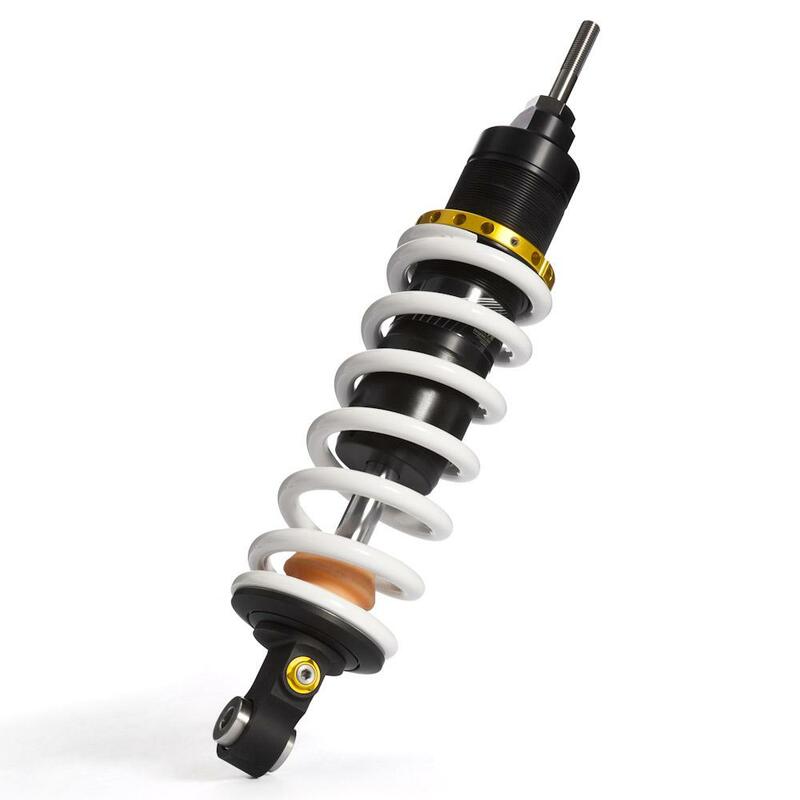 Aftermarket Shocks - Most after-market shocks are made with performance riding in mind, but aren’t built for use on a fully-loaded R1100GS. 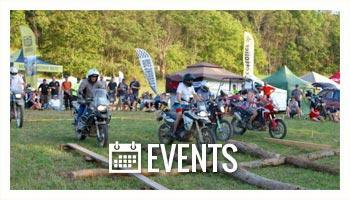 Most can only withstand the weight of the rider and don’t offer good handling, or have adequate adjustments. They also aren't durable enough to go the distance with a fully-loaded touring bike. •Damping set up for fully-loaded R1100GS right out-of-the-box. 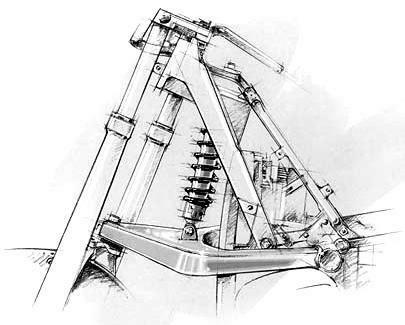 •A floating piston separates the nitrogen and the oil to prevent oil foaming. This technology ensures that your shock will have smooth and consistent performance even in punishing environments. •Adjustable preload to accommodate long-distance quantities of luggage or a passenger. Aluminum Shock Body – Some manufacturers use a steel shock body to reduce cost. 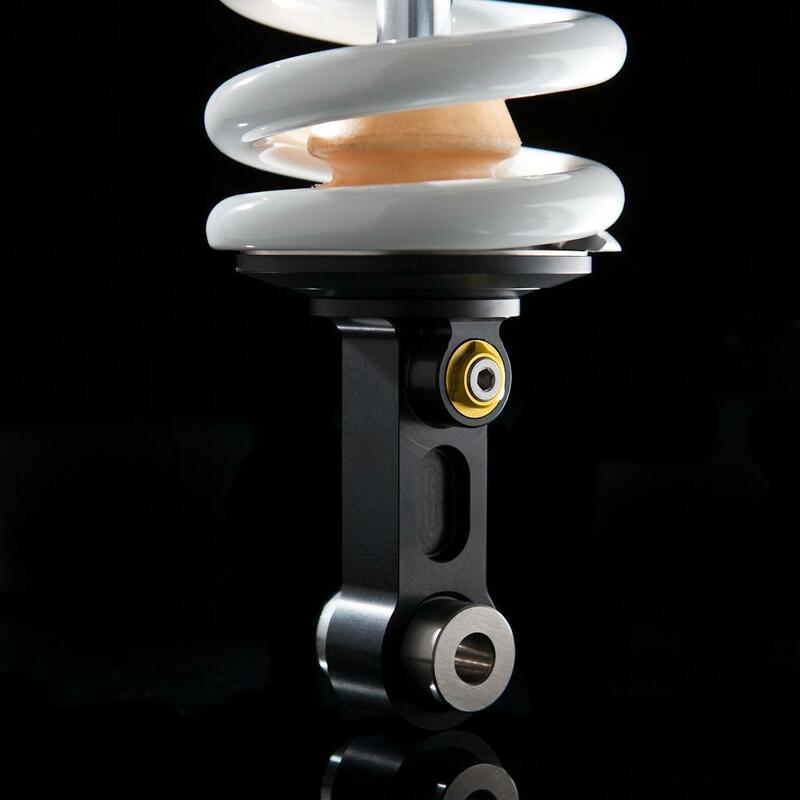 Touratech suspension uses cold-forged 6082 T6 aluminum for the shock body because it’s lightweight, strong and durable. It also dissipates heat 30% more effectively than steel, which results in more stable and predictable damping, delivering better handling and a smoother ride. A cooler shock will also have more consistent damping and a longer service life. This shock body is further protected with a high-quality black anodized finish inside and out. With the floating piston design of Touratech Suspension there is a physical separation of oil and nitrogen gas which means you can ride rough roads all day long and enjoy consistent high performance. Why buy a shock whose performance gets worse the harder you ride it? Before you invest in new suspension for the front of your R1100GS make sure it’s a floating piston design. Stainless Steel Bushings - While many aftermarket shocks use aluminum bushings where the shock mounts to the motorcycle, Touratech Suspension uses high-strength, non-corroding stainless steel. This creates a strong and rigid connection which is important for a loaded R1100GS. The stainless steel bushings protect against corrosion and seizing and offer low maintenance and longer life. Low-Friction Seal – Our seals have a backbone that virtually eliminates friction interference on the damping activity. 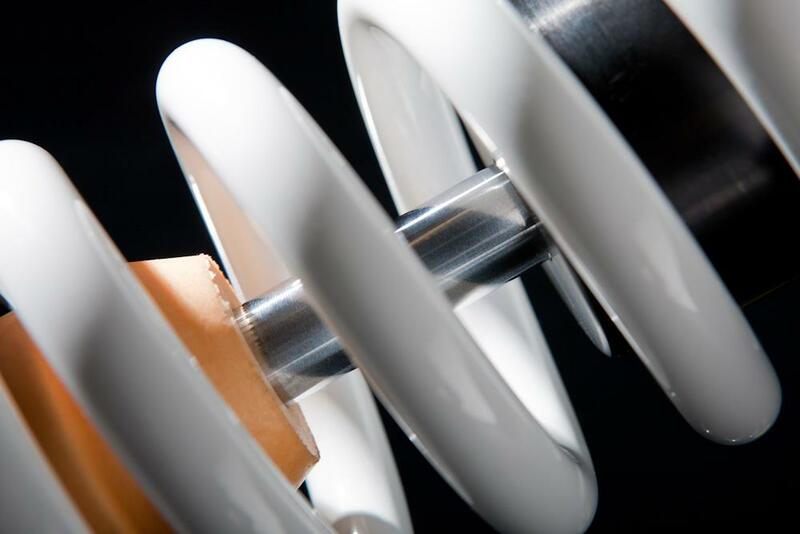 On other shocks, the seal deforms as damping pressure increases and causes stiction on the shaft. Touratech Suspension is equipped with a proprietary low-friction seal that is supported by a Teflon back-up ring. This Teflon backbone keeps the seal from deforming and eliminates stiction on the shaft even at high pressures. The result is better performance, increased reliability and longer service life, even in harsh environments. Adjustable Rebound Damping – Right out of the box, this shock is ready for adventure with its rebound damping levels set for touring on a fully-loaded BMW R1100GS. The rebound damping is also adjustable so the ride can be customized to your preferences. 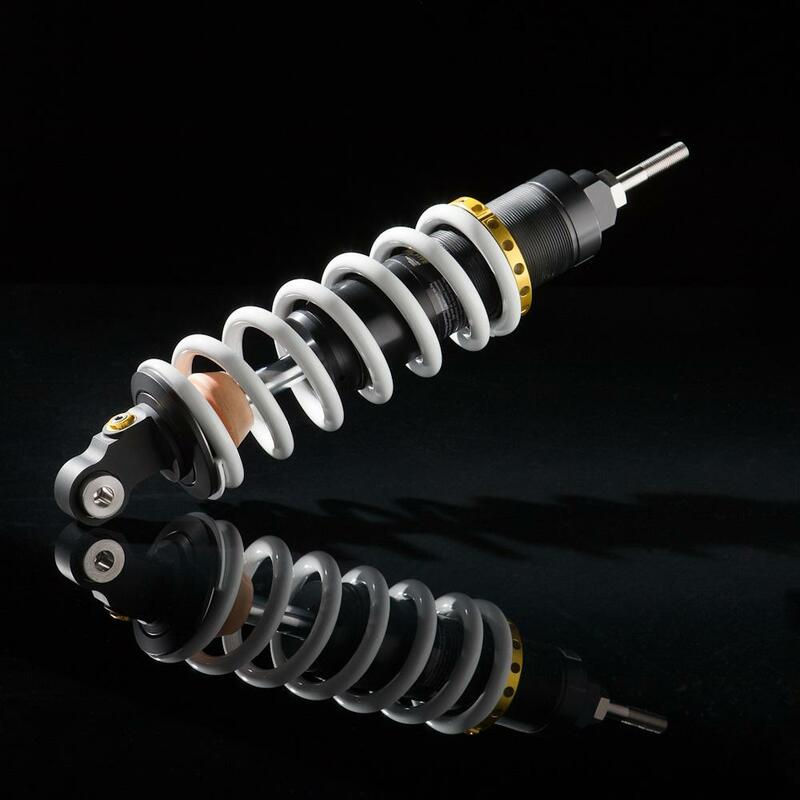 Adjustable Preload – The spring preload on the front Explore shock can be adjusted by spinning the threaded collar with the supplied tool. This allows you to fine tune the front shock in concert with the rear shock to get the ideal set-up. The Touratech Explore is a significant upgrade from a stock R1100GS shock and a great alternative to other aftermarket shocks most of which only have oil-emulsion damping and are not purpose-built for adventure touring with luggage. If you need a shock that can perform well for fully-loaded touring, this shock will improve your ride right out of the box. 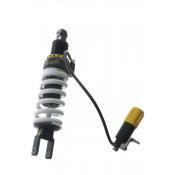 For best results upgrade to one of the Touratech Suspension rear shocks at the same time. Click HERE to see the Touratech Suspension options for R1100GS rear shocks.